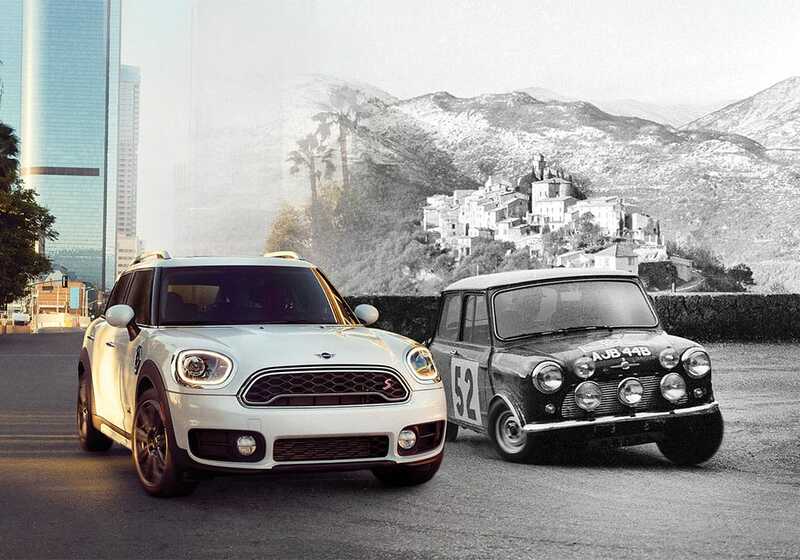 *Offered through MINI Financial Services by participating MINI dealers through 04/30/19. 3.49% APR offer available to eligible, qualified customers with excellent credit history who meet MINI Financial Services’ credit requirements. Other rates are available. All offers are subject to credit approval and availability from existing retailer inventory. Retailer prices will vary and affect customer cost. 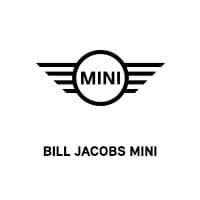 A 72 month finance contract for a new 2019 MINI model, Oxford Edition excluded, and an APR of 3.49%, requires 72 monthly installments of 15.41 per $1,000 financed. No Down payment required. Taxes, title and registration fees extra. Customer liable for insurance, maintenance and repairs. See your authorized MINI Dealer for complete details. 2019 MINI Cooper OXFORD EDITION. 27/35 City/Highway MPG The 2019 MINI Hardtop 2 Door is the vehicle for corner-carving spontaneity. It’s complete with the latest performance engineering, premium technology and a finely tailored interior. Both comfort and creative use of space are central to the design, and by pushing the wheels all the way out to the corners and turning the engine sideways, this car can handle tight turns like a pro with plenty of passenger room in the cockpit. With a distinguished new look, LED taillights give a nod to the Hardtop 2 Door’s British heritage, while LED door projectors make getting in and out a special experience. This car features potent twinpower turbo punch engines, Steptronic Sport automatic transmission, four-wheel independent suspension and driving modes, which allow you to choose from Sport, Green or Mid settings for perfectly balanced performance. The Hardtop 2 Door offers a range of convenient features for staying connected on the road, including Apple CarPlay compatibility, navigation, a head-up display and Find Mate app integration. You’ll also find a comprehensive suite of safety features such as active driving assist and LED headlights. Enjoy more of every mile in the 2019 MINI Hardtop 2 Door. 2019 MINI Cooper 27/35 City/Highway MPG The 2019 MINI Hardtop 2 Door is the vehicle for corner-carving spontaneity. It’s complete with the latest performance engineering, premium technology and a finely tailored interior. Both comfort and creative use of space are central to the design, and by pushing the wheels all the way out to the corners and turning the engine sideways, this car can handle tight turns like a pro with plenty of passenger room in the cockpit. With a distinguished new look, LED taillights give a nod to the Hardtop 2 Door’s British heritage, while LED door projectors make getting in and out a special experience. This car features potent twinpower turbo punch engines, Steptronic Sport automatic transmission, four-wheel independent suspension and driving modes, which allow you to choose from Sport, Green or Mid settings for perfectly balanced performance. The Hardtop 2 Door offers a range of convenient features for staying connected on the road, including Apple CarPlay compatibility, navigation, a head-up display and Find Mate app integration. You’ll also find a comprehensive suite of safety features such as active driving assist and LED headlights. Enjoy more of every mile in the 2019 MINI Hardtop 2 Door. 2019 MINI Cooper OXFORD EDITION STUDENT VEHICLE. 27/35 City/Highway MPG The 2019 MINI Hardtop 4 Door is built for sharing. Both comfort and creative use of space were central to the original design, and by pushing the wheels all the way out to the corners and turning the engine sideways, this car can handle tight turns like a pro with plenty of passenger room in the cockpit. With a distinguished new look, LED taillights give a nod to the Hardtop 4 Door’s British heritage, while LED door projectors make getting in and out a special experience. The turbocharged motoring icon, with double the doors is powered by a twinpower turbo engine. This car features potent twinpower turbo engines, complemented by Steptronic Sport automatic transmission, four-wheel independent suspension and driving modes, which allow you to choose from Sport, Green or Mid settings for perfectly balanced performance. The Hardtop 4 Door offers a range of convenient features for staying connected on the road, including Apple CarPlay compatibility, navigation, a head-up display and Find Mate app integration You’ll also find a comprehensive suite of safety features such as active driving assist and LED headlights. Have a little more MINI all to yourself with the 2019 MINI Hardtop 4 Door. 2019 MINI Cooper Automatic Climate Control, Comfort Access Keyless Entry, MINI Excitement Package, Panoramic Moonroof, Piano Black Interior Surface, Signature Line Package, Wheels: 16 x 6.5 Loop Spoke Silver Alloy, White Turn-Signal Lights. 27/35 City/Highway MPG The 2019 MINI Hardtop 2 Door is the vehicle for corner-carving spontaneity. It’s complete with the latest performance engineering, premium technology and a finely tailored interior. Both comfort and creative use of space are central to the design, and by pushing the wheels all the way out to the corners and turning the engine sideways, this car can handle tight turns like a pro with plenty of passenger room in the cockpit. With a distinguished new look, LED taillights give a nod to the Hardtop 2 Door’s British heritage, while LED door projectors make getting in and out a special experience. This car features potent twinpower turbo punch engines, Steptronic Sport automatic transmission, four-wheel independent suspension and driving modes, which allow you to choose from Sport, Green or Mid settings for perfectly balanced performance. The Hardtop 2 Door offers a range of convenient features for staying connected on the road, including Apple CarPlay compatibility, navigation, a head-up display and Find Mate app integration. You’ll also find a comprehensive suite of safety features such as active driving assist and LED headlights. Enjoy more of every mile in the 2019 MINI Hardtop 2 Door. 2019 MINI Cooper Automatic Climate Control, Comfort Access Keyless Entry, MINI Excitement Package, Panoramic Moonroof, Piano Black Interior Surface, Signature Line Package, Wheels: 16 x 6.5 Victory Spoke Black Alloy, White Turn-Signal Lights. 27/35 City/Highway MPG The 2019 MINI Hardtop 2 Door is the vehicle for corner-carving spontaneity. It’s complete with the latest performance engineering, premium technology and a finely tailored interior. Both comfort and creative use of space are central to the design, and by pushing the wheels all the way out to the corners and turning the engine sideways, this car can handle tight turns like a pro with plenty of passenger room in the cockpit. With a distinguished new look, LED taillights give a nod to the Hardtop 2 Door’s British heritage, while LED door projectors make getting in and out a special experience. This car features potent twinpower turbo punch engines, Steptronic Sport automatic transmission, four-wheel independent suspension and driving modes, which allow you to choose from Sport, Green or Mid settings for perfectly balanced performance. The Hardtop 2 Door offers a range of convenient features for staying connected on the road, including Apple CarPlay compatibility, navigation, a head-up display and Find Mate app integration. You’ll also find a comprehensive suite of safety features such as active driving assist and LED headlights. Enjoy more of every mile in the 2019 MINI Hardtop 2 Door. 2019 MINI Cooper Automatic Climate Control, Comfort Access Keyless Entry, Heated Front Seats, MINI Excitement Package, Panoramic Moonroof, Piano Black Interior Surface, Signature Line Package, Wheels: 16 x 6.5 Victory Spoke Black Alloy, White Turn-Signal Lights. 27/35 City/Highway MPG The 2019 MINI Hardtop 4 Door is built for sharing. Both comfort and creative use of space were central to the original design, and by pushing the wheels all the way out to the corners and turning the engine sideways, this car can handle tight turns like a pro with plenty of passenger room in the cockpit. With a distinguished new look, LED taillights give a nod to the Hardtop 4 Door’s British heritage, while LED door projectors make getting in and out a special experience. The turbocharged motoring icon, with double the doors is powered by a twinpower turbo engine. This car features potent twinpower turbo engines, complemented by Steptronic Sport automatic transmission, four-wheel independent suspension and driving modes, which allow you to choose from Sport, Green or Mid settings for perfectly balanced performance. The Hardtop 4 Door offers a range of convenient features for staying connected on the road, including Apple CarPlay compatibility, navigation, a head-up display and Find Mate app integration You’ll also find a comprehensive suite of safety features such as active driving assist and LED headlights. Have a little more MINI all to yourself with the 2019 MINI Hardtop 4 Door. 2019 MINI Cooper **SIGNATURE PREMIUM PKG**, **TOUCHSCREEN NAVIGATION PKG**, Automatic Climate Control, Comfort Access Keyless Entry, Heated Front Seats, MINI Excitement Package, Panoramic Moonroof, Piano Black Interior Surface, Signature Line Package, Wheels: 16 x 6.5 Loop Spoke Silver Alloy, White Turn-Signal Lights. 27/35 City/Highway MPG The 2019 MINI Hardtop 4 Door is built for sharing. Both comfort and creative use of space were central to the original design, and by pushing the wheels all the way out to the corners and turning the engine sideways, this car can handle tight turns like a pro with plenty of passenger room in the cockpit. With a distinguished new look, LED taillights give a nod to the Hardtop 4 Door’s British heritage, while LED door projectors make getting in and out a special experience. The turbocharged motoring icon, with double the doors is powered by a twinpower turbo engine. This car features potent twinpower turbo engines, complemented by Steptronic Sport automatic transmission, four-wheel independent suspension and driving modes, which allow you to choose from Sport, Green or Mid settings for perfectly balanced performance. The Hardtop 4 Door offers a range of convenient features for staying connected on the road, including Apple CarPlay compatibility, navigation, a head-up display and Find Mate app integration You’ll also find a comprehensive suite of safety features such as active driving assist and LED headlights. Have a little more MINI all to yourself with the 2019 MINI Hardtop 4 Door. 2019 MINI Cooper Automatic Climate Control, Comfort Access Keyless Entry, Heated Front Seats, MINI Excitement Package, Panoramic Moonroof, Piano Black Interior Surface, Signature Line Package, Wheels: 16 x 6.5 Loop Spoke Silver Alloy, White Turn-Signal Lights. 27/35 City/Highway MPG The 2019 MINI Hardtop 4 Door is built for sharing. Both comfort and creative use of space were central to the original design, and by pushing the wheels all the way out to the corners and turning the engine sideways, this car can handle tight turns like a pro with plenty of passenger room in the cockpit. With a distinguished new look, LED taillights give a nod to the Hardtop 4 Door’s British heritage, while LED door projectors make getting in and out a special experience. The turbocharged motoring icon, with double the doors is powered by a twinpower turbo engine. This car features potent twinpower turbo engines, complemented by Steptronic Sport automatic transmission, four-wheel independent suspension and driving modes, which allow you to choose from Sport, Green or Mid settings for perfectly balanced performance. The Hardtop 4 Door offers a range of convenient features for staying connected on the road, including Apple CarPlay compatibility, navigation, a head-up display and Find Mate app integration You’ll also find a comprehensive suite of safety features such as active driving assist and LED headlights. Have a little more MINI all to yourself with the 2019 MINI Hardtop 4 Door.